Five major US-based professional and amateur sports associations have filed a brief in response to New Jersey’s request for a rehearing or a hearing en banc of the recent appellate decision which has left intact the United States’ current, and largely nationwide, prohibition against traditional forms of sports. As reported on extensively here at FlushDraw, New Jersey has waged a four-year legal battle against the early ’90s-vintage PASPA (Professional and Amateur Sports Protection Act), which has prevented New Jersey’s casinos from being able to offer legal sports-book services like those found in Nevada, the single US state where full-scale sports betting is available. 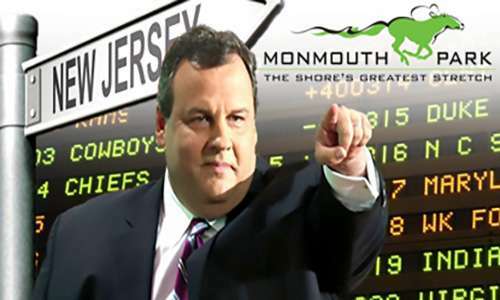 Yesterday’s filing comes amid the ongoing battle over the “Christie II” law, the second such attempt by New Jersey lawmakers to enact the legalized sports betting that its citizens approved by voter referendum back in 2011. 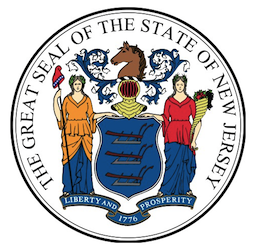 Christie II was nullified via both a US District court case and a recent 2-1 Third Circuit Court of Appeals decision. However, the flip-flopping and fine lines created by the latest ruling prompted New Jersey to continue its appeal by asking for a rehearing or a possible en banc review, involving a look at the case by all sitting Third Circuit judges. avoided. Defendants are wrong on both counts, as Christie II explained. First, while Defendants insist repeatedly that Christie II reads PASPA to compel states to maintain their existing sports gambling prohibitions, Christie II in fact does no such thing. To the contrary, Christie II goes out of its way to reiterate that New Jersey remains just as free under PASPA as it always has been to enact a genuine repeal of its sports gambling prohibitions. Christie II simply makes the commonsense points that not every law styled as a “repeal” is a genuine repeal, and that the “repeal” of generally applicable prohibitions only at state-chosen venues and for betting on state-chosen sporting events is a far cry from a genuine repeal. A complete and genuine repeal thus remains a legal option available to New Jersey. Nothing in PASPA or Christie II precludes it. Precisely because Christie II does not interpret PASPA as compelling states to maintain existing sports gambling prohibitions, it in no way reopens the constitutional question resolved against Defendants in Christie I. Christie I found it sufficient to defeat Defendants’ commandeering claim that PASPA preserves states’ ability to repeal their sports gambling prohibitions entirely, rendering the question at issue in Christie II—i.e., whether PASPA also allows states to “repeal” prohibitions only at the state’s favored venues on the state’s favored games—academic to the constitutional issue resolved against Defendants in Christie I. This Court declined Defendants’ pleas to reconsider that constitutional holding en banc in Christie I, and Defendants fared no better in their petitions for Supreme Court review. Defendants’ continued disagreement with that holding does not entitle them to yet another bite at the constitutional apple, and neither does Christie II. The only real dispute after Christie I, then, is whether, in addition to preserving New Jersey’s right to repeal its sports gambling prohibitions entirely, PASPA also allows New Jersey to accomplish the authorization of sports gambling at its preferred venues by selectively “repealing” its general, statewide prohibitions only at those comprehensively regulated state-licensed gambling venues (and only for the persons and sporting events of the state’s choosing). And as to that question, the majority in Christie II plainly got it right. Whatever else PASPA may allow a state to do, it certainly does not allow a state to dictate where sports gambling may occur, by whom, and even on what sporting events, under the guise of “partially repealing” its otherwise-blanket sports gambling prohibitions. In all events, the question presented in this case does not warrant this Court’s consideration en banc. Just as New Jersey is the one and only state that has ever attempted to authorize and license casino sports gambling in open and acknowledged violation of PASPA, it is also the one and only state that has ever attempted to “partially repeal” its sports gambling prohibitions in an open and acknowledged effort to evade PASPA. Accordingly, there is no reason to think—and no Defendant even claims—that the question resolved by Christie II is recurring. That being so, this Court should reject Defendants’ attempts to enlist the Court in New Jersey’s latest efforts to authorize and license sports gambling at its casinos and racetracks in blatant violation of federal law. FlushDraw will return shortly with further excerpts from the latest filing, including a focus on the most likely points that the Third Circuit will examine as it considers New Jersey’s en banc petition.